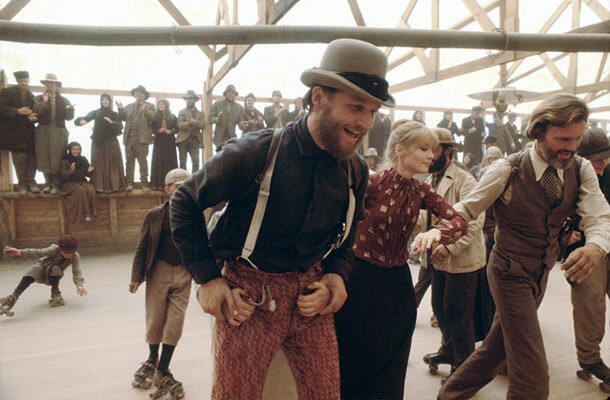 “Heaven’s Gate” is one of those movies that had a real potential at becoming a classic, only to ultimately fail at the box office. In this case, the reason behind the movie’s failure is known to all. Michael Cimino had his big directorial break in 1978 when he helmed “The Deer Hunter.” The movie was a big success, both critically and commercially, so Cimino was granted a lot of money from United Artists for his next project. However, instead of making “Heaven’s Gate” in the similar manner, the director abused his powers and literally overdid it. Despite having names like Kris Kristofferson, Christopher Walken, John Hurt, and Jeff Bridges attached to it, “Heaven’s Gate” is so packed with details we won’t even bother to explain what it’s about.